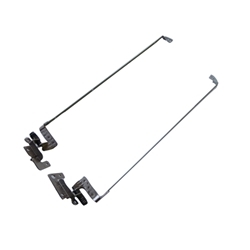 Description: New genuine Acer Aspire laptop left and right hinge set. Part #'s: 33.PT401.001, 33.PT401.002, 33.4HN03.001, 100327JE70A01, 34.4HN04.001, 100505JE70A01. Acer Aspire 7551, 7551G, 7552, 7552G, 7741, 7741G, 7741Z, 7741ZG.